Partnership to increase access to Roche’s diagnostic tests and medicines for diagnosing, treating and monitoring patients with HIV/AIDS through no/reduced-profit pricing and enabling manufacturing of antiretroviral therapies by other companies through technology transfer . "Roche has committed to transparent pricing and patent policies to address barriers to its HIV diagnostics tests and second-line HIV protease inhibitor medicine in low- and middle-income countries. Roche supplies its protease inhibitor Invirase (saquinavir) at non-profit prices for people living in these countries, including all of sub Saharan Africa (SSA). This covers 63 countries, which are home to 64% of all people living with HIV/AIDS. These are the lowest prices at which the medicines can viably be sold in the long term and do not reflect research or development costs, marketing costs, distribution costs or company overheads. Roche also supplies Invirase at significantly reduced prices in middle-income and emerging countries where HIV/AIDS is a growing problem. Since 2007, the company has provided Valcyte (valganciclovir), an oral medication for treating AIDS-related cytomegalovirus retinitis (CMVR), at reduced prices for AIDS treatment programmes led by non-governmental organisations in low- and middle-income countries and in sub-Saharan Africa. In 2013, through a purchase agreement with the Medicines Patent Pool, Roche further reduced the price for Valcyte for use in HIV patients, making it 90% cheaper for 138 developing countries, including a number of upper middle-income countries such as India and China. Through the AmpliCare program, Roche supplies diagnostic HIV tests at the lowest possible price in SSA countries and several countries in South America and Asia. Roche does not file for new patents or enforce existing patents on Roche medicines in Least Developed Countries (LDCs) or low income countries. In addition, Roche does not file or enforce patents for antiretroviral HIV medicines in sub-Saharan Africa. Not applying patents in these regions enables generic versions of Roche medicines to be produced and distributed in these countries. In addition, through programs like Roche’s Technology Transfer Initiative (completed in 2010), local manufacturers now have the necessary skills to produce generic versions of the HIV medications." Aspen Pharmacare Holdings Limited is a multinational South African holding company for pharmaceutical concerns. The Group is committed to sustaining life and promoting healthcare through increasing access to its high quality, effective, affordable medicines and products. South African-based JSE Limited listed Aspen continues to increase the number of lives benefiting from its products, reaching more than 150 countries across the world. The extensive basket of Aspen products provides treatment for a broad spectrum of acute and chronic conditions experienced throughout all stages of life. Aspen is represented in South Africa, Australia, Hong Kong, Malaysia, Philippines, Taiwan, Japan, Kenya, Nigeria, Tanzania, Uganda, Ireland, United Arab Emirates, Germany, the Netherlands, Mauritius, Brazil, Mexico, Venezuela and the United States of America. Acquisitions announced in 2013 will further extend the Group’s emerging market presence to the Commonwealth of Independent States, comprising Russia and the former Soviet Republics as well as to Central and Eastern Europe. The Group has 26 manufacturing facilities at 18 sites on 6 continents and approximately 8200 employees. Adcock Ingram is a leading South African pharmaceutical manufacturer, listed on the Johannesburg Stock Exchange. The Company manufactures, markets and distributes a wide range of healthcare products. The company is a leading supplier to both the private and public sectors of the market. Expansion in to emerging markets has given the company a presence in sub-Saharan Africa and India. Adcock Ingram is ranked as the second largest manufacturer in the private pharmaceutical market and is the second largest supplier to the public sector. Of note is the major share of the critical care market held by the company, being the largest supplier of critical care products to the public sector and hospitals. Adcock Ingram is a committed supplier of antiretroviral (ARV) medicines to the public sector through the highly competitive tender system. Consumer and over-the-counter products constitute the largest segment of the Company's business in South Africa. Market-leading brands such as Panado have put the company in a leadership position in the private pharmacy market and the fast moving consumer goods (FMCG) segment. The Prescription product range comprises medicines and technologies promoted to the healthcare professionals only. This portfolio includes a comprehensive range of generic medicines including antiretroviral medicines (ARVs). Partnerships with multinational pharmaceutical companies continue to augment the comprehensive portfolio of originator medicines. 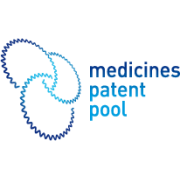 The Critical Care portfolio offers a range of quality and affordable generic medicines with a flow of new molecules to continually expand the range. The Critical Care range has a long history in the Company based on an agreement with Baxter, and positions Adcock Ingram as the leading supplier of critical care products to the private and public sectors. Adcock Ingram has recently undertaken a capital expansion project costing R1.5 billion which was primarily focused on the regulatory compliance status of the three manufacturing facilities situated in Gauteng. The High Volume Liquids facility situated at Clayville is a state of the art and highly automated factory primarily producing liquids and effervescent formulations. The Tablet and Capsule facility situated at Wadeville is focused on the manufacture of antiretroviral medicines which are supplied to the public sector through the tender system. The Critical Care facility situated at Aeroton produces intravenous fluids, blood bags, renal dialysis products and large and small-volume parenterals. Adcock Ingram has invested in a state-of-the-art distribution system, designed to distribute the Company’s products as well as those of its contracted partners, direct to all customers. The importance of medicines can only be realized if they are readily available when required. With that in mind Cosmos started in 1978 with the sole aim of manufacturing quality medicines at an affordable price for Kenyans. 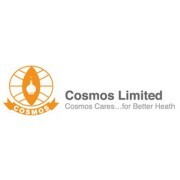 At Cosmos they believe quality is of paramount importance and there is only 1 quality when it comes to medicines. Adhering to strict Good Manufacturing Practices we were able to achieve this through both public and private partnerships. Shelys Pharmaceuticals is a renowned pharmaceutical company of Sub Saharan Africa. 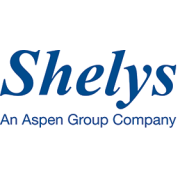 Shelys has humble origins starting as a diminutive family business in 1956 and has, over the years, established itself to be one of the largest pharmaceutical companies in East Africa. Shelys has its footprints in Tanzania ,Zambia ,Malawi ,DRC, Rwanda , Burundi, Mozambique, Madagascar ,Mauritius, Djibouti, Uganda and Kenya and is a leader in the script market for crucial therapeutic categories such as cough and cold, anti infectives, nutraceuticals, antimalarials, gastro intestinal, pain management, fever and topical inflammation, disinfectants, cardiovascular and erectile dysfunction. 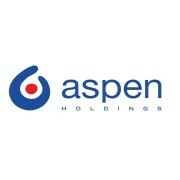 In 2012, Aspen Pharmacare Holdings Limited (Aspen) acquired the remaining share in Shelys Pharmaceuticals Limited providing for a 100% shareholding.Tanzania-based Shelys and Beta Healthcare based in Kenya, a prominent leader in OTC business in Sub Saharan Africa, are both subsidiaries of Shelys Africa. This alliance provides the foundation of Aspen’s expansion into the East and Central African market and the establishment of an affordable, quality, generics brand presence on the continent. To date, the MPP has signed agreements with eight patent holders for twelve HIV antiretrovirals, one hepatitis C direct-acting antiviral, one tuberculosis treatment and one HIV technology platform. Its generic partners have distributed 10.9 million patient-years of WHO-recommended HIV medicines to 125 countries, including 79 countries that were previously unable to benefit from generic competition (January 2012-June 2016). These numbers were calculated by the audit and advisory firm KPMG.